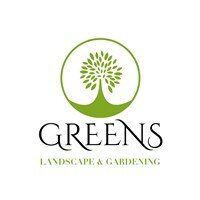 Greens Landscapes & Gardening - Garden Services, Landscaper based in Smalley, Derbyshire. Hi I’m Brad and I run Greens Landscape & Gardening. We are a family run business that’s uses only the highest quality of products and services. We have over 12 years experience in this field including Greenkeeper qualifications. We are very passionate about our work and pride ourself in high quality work and customer satisfaction. We carry out anything from garden maintenance, fencing to full garden landscapes. We are very friendly and will work with your thoughts and ideas giving helpful advice and knowledge on the way. Please contact us for a free quote.